At the start of 2010, our clients division starts rolling out awareness courses on their Business System which includes Lean, 6 Sigma, TPM & Operational Excellence methodologies as a company wide system. All employees within the Division have been trained by their facilitators using the awareness materials created in conjunction with KCTS. During this period of rolling out the training across the division, a Major Kaizen was delivered in their Dutch factory merging KCTS methodology with the client’s specific requirements. Their Facilitators received training at that same factory on how to conduct their own Kaizens, which they did following the course. In June the group met with KCTS to demonstrate their results, starting with €250,000 saving. As well as sharing their experiences, their Facilitators learn the skills needed to Coach & Train the tools into their factories. 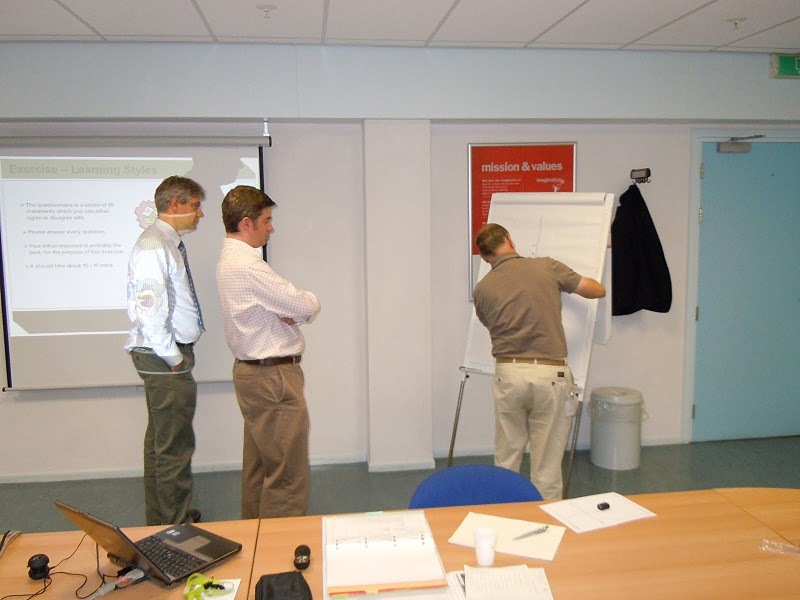 The Major Kaizen methodology was used as the example for the facilitators to train a group on how to solve problems. The skills learnt will be applied to all the client’s tools used. The Senior Vice President from the company attended the final feedback from the Coaching & Training Course to present all successful graduates with their certificates. He reinforced the message that this was the start of their work to reduce losses and improve performance within their Company. This entry was posted on Tuesday, June 22nd, 2010 at 15:37	and is filed under TPM. You can follow any responses to this entry through the RSS 2.0 feed. You can leave a response, or trackback from your own site.